CONGRATULATIONS TO KYLIE ON OBTAINING HER AUSTRALIAN CHAMPION TITLE AT THE TENDER AGE OF 13 MONTHS. Introducing the gorgeous ‘Kylie’ who is from the first litter sired by our handsome boy Bazil. Kylie is a return to liver and we couldn’t be happier with her. Kylie has a wonderful temperament being so sweet and yet wicked at the same time.. Everyone who meets her loves her. 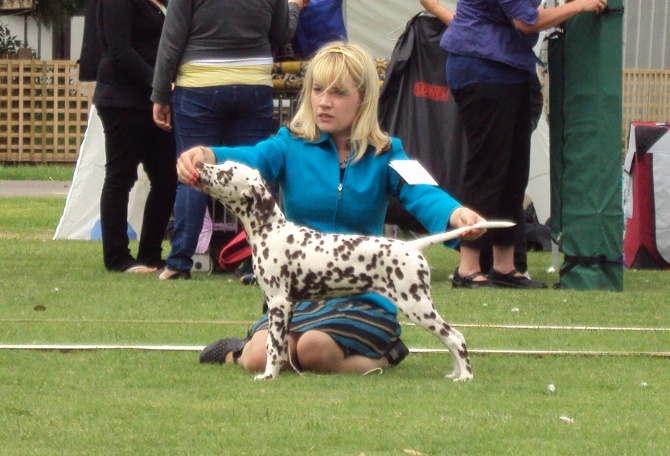 Kylie is named after Kylie Minogue and we are sure that she is also going to have a successful career.. a good hint that we might be right about that was the fantastic start to her showing career that Kylie had winning BEST BABY PUPPY IN SHOW at the ACT Dalmatian Specialty Show in Canberra. Kylie was exactly 12 weeks old on the day of the show and performed like a true champion.. Kylie followed this win up with a BEST BABY PUPPY IN GROUP win the following week. 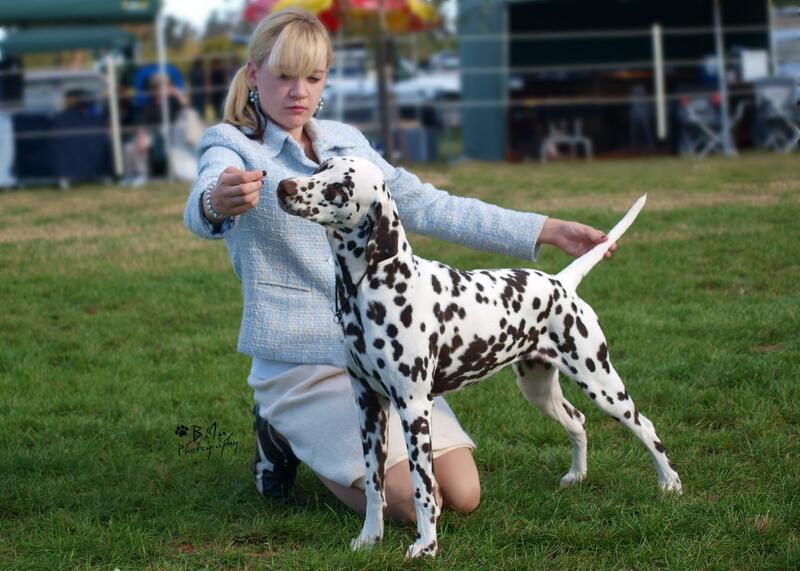 Kylie has a fabulous pedigree which includes many top winning and well known Dalmatians from Australia, New Zealand and beyond. 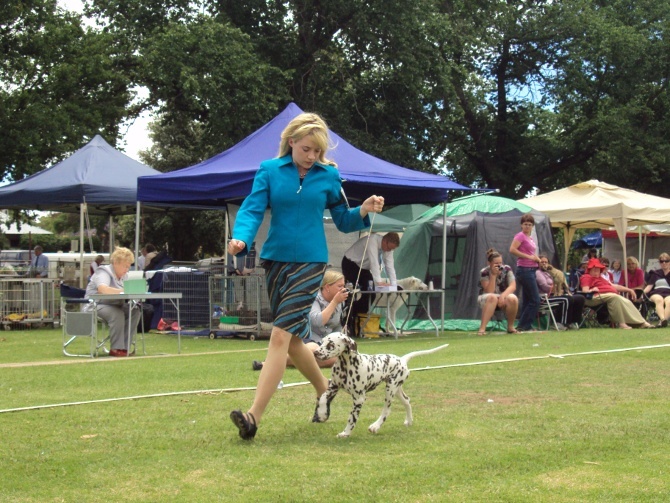 Kylie is a multi challenge and reserve challenge winner from the Minor Puppy Class. Kylie is also a multi class in group winner. Kylie also loves ice cream!!! © 2019 Jendally Kennels|ProPhoto theme by NetRivet, Inc.